Members of the Parish Council of Christ the Saviour Church are elected at the Annual Parish Meeting. The St. Romanus the Melodist Choir of Christ the Saviour Orthodox Church is a 4-part choir under the direction of Rdr. Christopher Rakowski. The choir sings the responses to all the liturgical services of the Church, including Sunday Divine Liturgy as well as Holy Days. Choir rehearsals are held every Wednesday night (every Tuesday during Great Lent). Please see Rdr. Christopher if you are interested in learning more. The Three Holy Youth's choir, under the direction of Nora Lubecki, consists of children from the Parish that sing selected hymns during the Sunday Divine Liturgy. The St. Mary’s Altar Guild provides an opportunity for the women of our Parish to participate in our Parish community through stewardship, fellowship, and charitable works. Stewardship comes through participation in some of our major Parish fundraisers such as nut roll baking, our annual Ethnic Food Fest, and the Chinese Auction. These events help to support our Church financially. The Altar Guild also organizes and coordinates the Sunday Fellowship Hour as well as provides baked goods for many special Parish events. It’s not all work! The Altar Guild also provides a great opportunity for fellowship among our members and the Parish in general by organizing various luncheons for the women of our Parish. In addition to financially supporting our Parish, the Altar Guild contributes to the International Orthodox Christian Charities (IOCC) as well as many local charities. Financial support is provided to our Parish youth wishing to attend St. Tikhon’s Seminary summer camp. The Altar Guild also sends Christmas gifts to seminarians and their families at St. Tikhon’s and St. Herman’s Seminaries. The St. Mary’s Altar Guild welcomes and encourages all women of our Parish to join us! Whether you are actively involved in our Parish already, or you are looking to increase your involvement in the life of our Parish, the Altar Guild will provide you with a wonderful opportunity for expanding your growth and participation in our Parish community. The St. Alexis Toth Orthodox Men's Club provides stewardship and fellowship at our Parish. Membership is open to all men over the age of twenty one. Regularly scheduled meetings are held on the last Monday of each month. The Men's Club sponsors numerous events during the year including Sunday brunches and dinners, as well as annual events such as our Fall Parish Family Picnic (held on the first day of Sunday School), Super Bowl Party, and Nativity Season Open House dinner. In addition to providing fellowship, a number of our events help to raise funds for our Parish and other charitable works. Proceeds from our Pascha Bread sale help to sponsor Parish youth for summer camp and purchase prayer books for our first confession class. We also raise funds for "The Smile Train" (an international program to help disadvantaged children with cleft palates) by the sale of homemade soups during Great Lent. The Men's Club welcomes anyone interested in joining us in our mission to provide fellowship and stewardship. Please consider this opportunity to expand your growth and involvement in our Parish community. 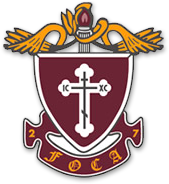 The Fellowship of Orthodox Christians in America (FOCA) is a national organization of Orthodox Christians, dedicated to proclaiming, sharing, and revealing the Orthodox Christian Faith through service, fellowship, and example. 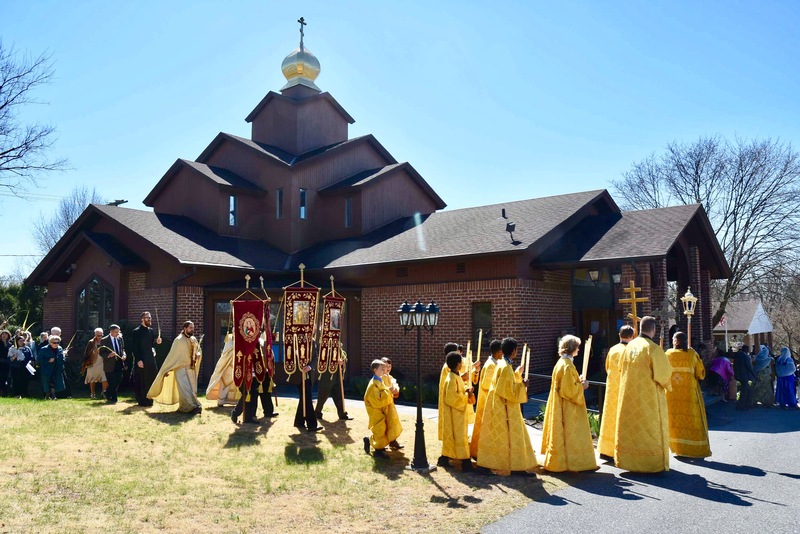 While the organization is open to Orthodox Christians in any jurisdiction, FOCA is the official fraternal service organization of the Orthodox Church in America (OCA). In connection with their participation in FOCA, members have the opportunity to: study the tenets of the Orthodox Christian Faith; support, encourage, and promote Orthodox youth ministries and missionary work; encourage and promote unity among all Orthodox jurisdictions; establish long-lasting Christian friendships on a local and national level; provide for and participate in educational, cultural, social, and athletic activities for people of the Orthodox Christian Faith. New members are always welcome! If you are interested in participating in FOCA, please stop by the Church office for additional information. Click here for an expanded list of Parish ministries. Please see Samatha Lopez if you would like more information. Thanks!